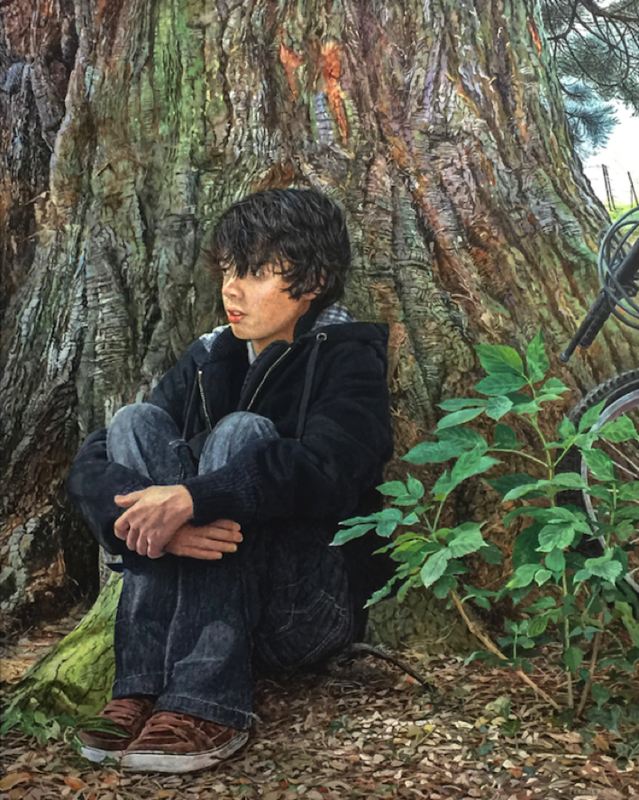 A fourteen year old boy lost in thought at a huge cedar tree, with his bicycle. This is a memory of a day in my own childhood, after my father had died, when I went alone to the vast Phoenix Park on my bicycle and sat under a tree for a long time. The tree symbolises the boy’s father, and the boy seems to grow like a shoot from the old tree’s roots. The branches at the top echo the boy’s hair, and the shrub to the side is a young elder. The boy who modelled for me is a family friend.